Easy Sheet Pan Beef Teriyaki - Home. Made. Interest. This easy Sheet Pan Beef Teriyaki recipe is served over rice or noodles for a quick and easy sheet pan dinner. Ever since I made that awesome Sheet Pan Lemon Chicken and Asparagus a few weeks ago I’ve been going a little sheet pan meal crazy. I love how easy they are to make and how quickly I can get dinner on the table. Life has been pretty busy lately so any help I can get at the end of a long day is greatly appreciated. This week instead of coming home from a long day at work and placing a Chinese take-out order I made this easy Sheet Pan Beef Teriyaki. It is a really simple sheet pan meal. Asian vegetables, bok choy, carrots, snow peas, and bell peppers with strips of sirloin and a glaze of teriyaki sauce. I know some people would make their own teriyaki sauce but for me sheet pans meals are all about keeping things simple so for this sheet pan beef teriyaki I used a store bought teriyaki sauce. I noticed Soy Vay on a shelf in the oriental food aisle at Target the last time I was in there. The name caught my eye, Soy Vay. It’s a made by a company started by a Jewish guy and an Asian girl who met at a party and bonded over their love for food. their sauces are all based on classic Chinese and Japanese sauces with a kosher twist. 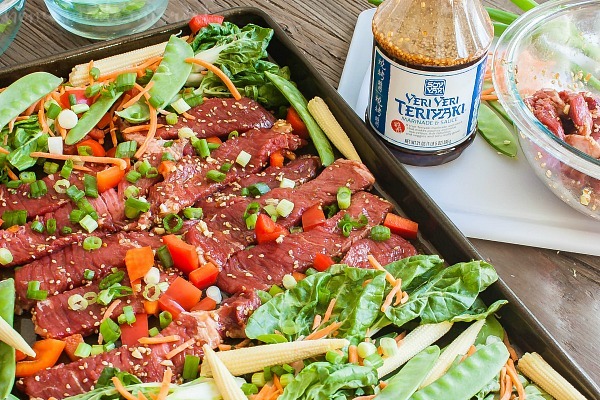 I grabbed the Soy Vay Veri Veri Teriyaki Marinade for my beef teriyaki sheet pan dinner and I love how much flavor it brought to the meal. The whole dinner came together in under 30 minutes. Vegetables were chopped, sliced and placed on the sheet pan along with thinly sliced strips of sirloin that had been tossed in the Soy Vay Veri Veri Teriyaki Marinade. The sheet pan goes into a 400 degrees F oven for 20 minutes, or until the vegetables are tender. I made a pot of rice while the sheet pan beef teriyaki was in the oven and everything was ready at the same time. 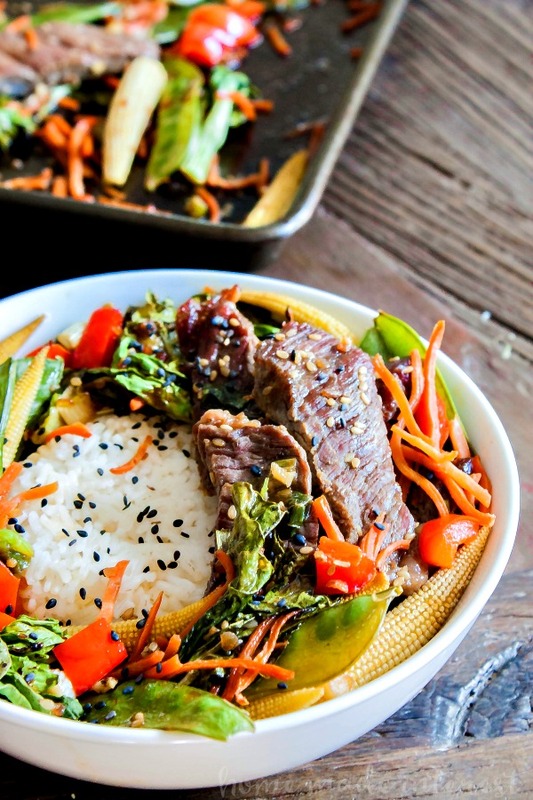 The rice went into bowls topped with deliciously cooked vegetables and flavorful teriyaki beef and dinner was served. 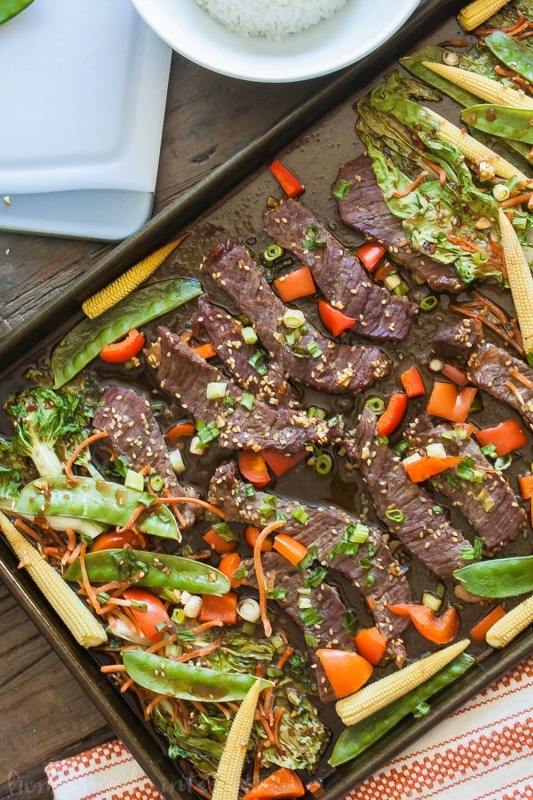 If you’re looking for a dinner idea this week this Sheet Pan Beef Teriyaki is as easy as it gets. Grab some Soy Vay Veri Veri Teriyaki Marinade at Target and give it a try. Right now you can save 20% with the Target Cartwheel app. 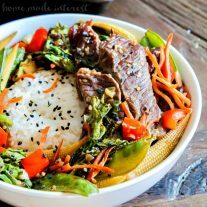 Sheet pan beef teriyaki recipe is thin slices of beef tossed in teriyaki sauce and baked with asian vegetables. 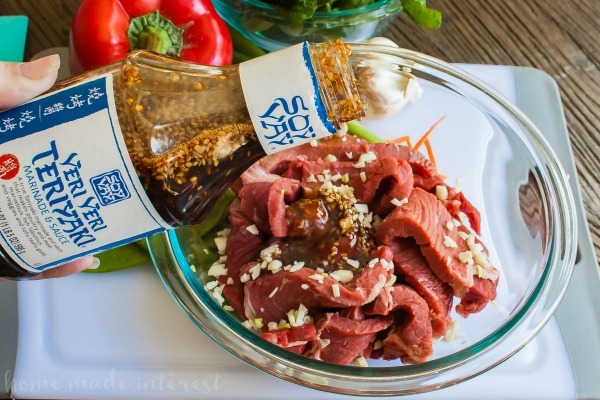 Cut beef into thin strips and combine in a bowl with minced garlic and ½ cup of teriyaki marinade. Spread beef and veggies on a prepared sheet pan. Pour remaining marinade on veggies. Bake for 10 minutes and then flip beef and bake for an additional 10 minutes.